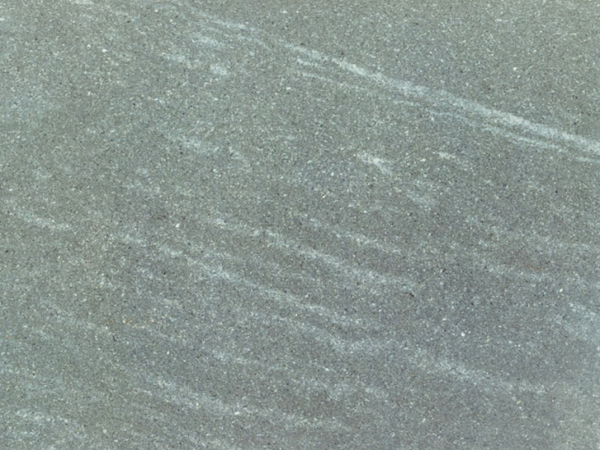 Appearance: Sandstone with a relatively homogeneous dark grey / deep blue background. Properties: Because of its mineralogical composition and formation, this metamorphic rock is compact and tough.It has great physic-mechanic resistance to attrition, electric power and resistance to atmospheric elements. Colour variations occur to some extent. It is recommended to seal this stone to extend its longevity. Use: Due to its wear resistance (class 3), this natural stone is suitable for both internal and external use within domestic and public environment with moderate traffic. Finishes: Honed, flamed, sandblasted and bush-hammered.